LIN Low Carb belly blaster is a great easy to use plan for effective fat loss especially around the mid section. This plan is designed to support a sustainable healthy lifestyle without hunger, unhealthy supplements or starvation. The plan is 99% grain free, added sugar free and perfectly balanced. LIN Low Carb Belly Blaster. 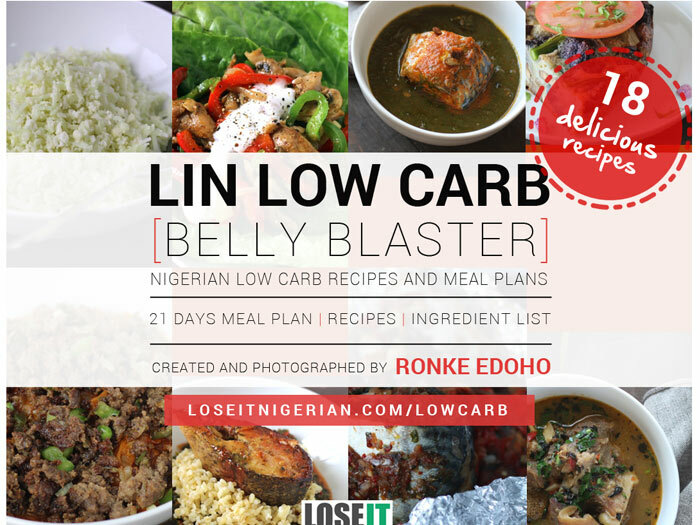 Low Carb Nigerian Diet with 21 Week Meal Plan, Recipes, Exercises and Ingredients List.